A lovely 3 bedroom and 3 bathrooms Villa located in the La Perla area of Arboleas in the province of Almeria. The property is fully walled and gated and includes an 8x4 pool with roman steps, plus a hot tub and enclosed terrace area. In addition the property has an a 2nd lounge, currently used as a TV/ sitting room which has been enclosed and double glazed. The villa has 3 bedrooms 1 with en-suite bathroom, a family bathroom a lounge dinning room and kitchen and a small utility room off the kitchen. There is Ac in 2 rooms plus wood burner and ceiling fan. 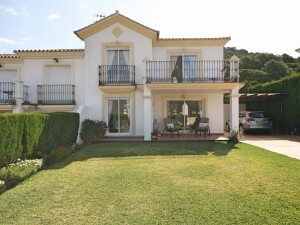 Do not hesitate to contact us to arrange a viewing to this lovely Villa.